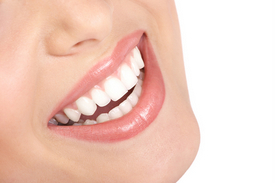 The best thing one can do for their pearly whites is properly maintain them. A strict oral hygiene routine involving twice-daily brushing and daily flossing will greatly reduce the chance of decay developing in the teeth. However, cavities can occur even when good dental hygiene habits are in place, and when cavities do arise, treatment is readily available. When a cavity has formed, a dental filling is in order. Dental fillings can also be used as restorations for instances of minor decay or to replace old or damaged fillings. In any case, one can decide whether to opt for a silver or tooth-colored filling. Please note that if decay or damage is more extensive for those in Red Bank, dental crowns may be more suitable options. At the Center for Advanced Dentistry, the Red Bank cosmetic dentistry practice of Dr. Michael Bixby, dental fillings are routinely and expertly placed for our patients. Because your healthy and confident smile is our priority, we offer the full scope in cosmetic dentistry, general dentistry, and restorative dentistry solutions. The Center for Advanced Dentistry is equipped with advanced technology such as digital X-rays, DIAGNOdent cavity detection, and air abrasion, allowing Dr. Bixby to detect cavities in the earliest stages of development. As part of his commitment to patients, he offers treatment of cavities through placement of tooth-colored fillings because of the fillings’ natural-looking results and safety record. Still, Dr. Bixby believes the best way to treat cavities is to work to prevent them. This is why he recommends daily flossing, twice-daily brushing, the use of an anti-bacterial mouthwash, and regular visits to the dentist. Dr. Michael Bixby and his friendly team look forward to treating your smile. If you have any questions concerning dental fillings, please let us know. We invite you to contact us at the Center for Advanced Dentistry in Red Bank with any questions or to schedule a dental fillings treatment appointment.